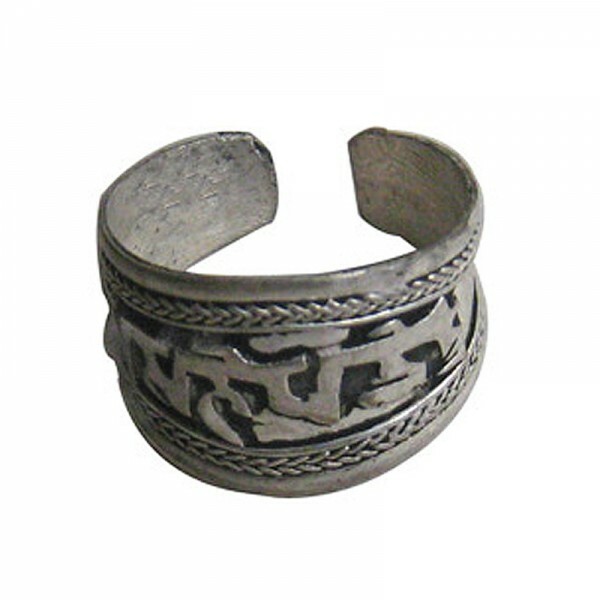 This front wide design finger ring is made from white metal and can be adjust as per the requirement. On the middle of the ring is mantra decorated. Since the product is entirely handmade; No two are alike hence, there can be slight variation in the given measurement.